Image shamelessly copied from Blackwing Pages. Seriously, check him out. TOPIC: I am not the best photographer in the world. But I want to get some really good pictures of some of my pencils, like Blackwing Pages, or get amazingly detailed pics like the monthly wallpaper from Pencil Revolution. Am I better off putting them on a flatbed scanner, or using a camera? If so, what sort of light is best? Any tips on creating a good depth-of-field? Good advice, John. I am always really impressed with Bob Truby’s images on Brand Name Pencils, which look like they must have done with a high-quality flatbed scanner. I have a pretty good camera at work, but I definitely need to work on my closeup skills, which are sadly lacking. And most of my light is produced with two halogen lamps, which seem to glare when I photograph small things, especially glossy pencils. I’ve been thinking about investing in a small portable photo studio, like this one from ThinkGeek. Use a point and shoot camera on a tripod with longer shutter speeds and a consistent enough light source with a neutral gray element in the photo for white balance adjustment (if you don’t pre-set it). A point and shoot camera, even at a moderately large aperture value, will have far more depth of field than a camera with a larger sensor. A p&s will also generally have a very convenient macro mode for close focusing. Most people forget basic light source diffusion, which for a single lamp is quite easy to do manually with anything from a piece of A3 paper to a sheet of corrugated plastic. You don’t need a light tent or light box or anything complicated, and in fact those aren’t always as good at giving you control over surface reflections via supplementary reflectors and absorbers. They’re good at minimizing shadows though, if that’s your only goal. Some people take pictures of pencils on white paper because it may provide a decent white balance standard, and because the white acts as a reflector that reduces the appearance of obvious shadow, and also allows exposed lead to be more visible. I like using textured black just for fun, even though the shadows are a bit more intrusive around the underside of the pencil. If you wish to go a bit cliche, use a white or black backdrop with a layer of glass on top. Also, being a perfectionist can be rather frustrating, because there are always nitpicks that can be found. After I snapped http://i.imgur.com/WuEnd.jpg (which required about 5 minutes of setup), I smacked myself for a number of silly mistakes, but decided instead to just leave it be. It was taken with a cheap old p&s camera, a piece of corrugated plastic, and a bright desk lamp. In the end, it’s all about the lighting, and if you don’t have LOTS of light to work with, you’ll probably need to resort to shutter speeds that are difficult, if not impossible, to handhold once a form of diffusion is added (note: if you use a sheet of paper or something as a diffusion layer between a desk lamp and the subject, you should experiment with distances and angles of the diffusion layer–it should not be right next to the bulb of course). A scanner isn’t a bad way to document a pencil’s appearance most of the time, but it is rather sterile compared to the better photographs out there. And forgive the image degradation in the picture I linked…JPEG compression can be troublesome when uploaded to some sites, which is why I normally prefer using PNG, despite the larger file size. @Robert: Are you kidding? That looks really great — thanks for the tips! You’re right — I need some diffused light. I just don’t use my flash as much or as well as I should. No need to use on-camera flash, and it’s usually a poor idea due to the size and location of the light source. It’s very hard to diffuse the camera flash as well (some people do silly things like putting a ping pong ball or a piece of translucent tape over it, but this is barely diffused at all as the surface area of the ping pong ball and tape remain very small). I just use a flexible desk lamp most of the time when I take photos in my apartment, though I originally learned to take photos using natural sunlight like Sean uses. Both work fine, but with object photography, shadow and reflection are the basic technical challenges. Using a large window without the sun facing directly in (many traditionalists suggest a north-facing window), much of the diffusion is taken care of, and you just need to worry about how the light is reflecting off the surface of the pencils. When using a desk light though, the source of light will be a relatively small point that will cast strong shadows, and thus needs to be diffused. When I use a strong desk light, I usually have the desk light about 0.5m to 1m above the subject, with the diffusion material (I use white corrugated plastic because it’s slightly translucent but much more rigid than paper) about halfway between the subject and light source (or a little closer to the subject). Once the light’s diffused and shadows tamed, you need to think again about reflections. Glossy pencils will look glossy but may also have a lot of glare if they are reflecting a white surface. They will look more dull if they are reflecting a black surface. The horizontal position of the lamp above the subject (behind or in front or to a side) can also influence this of course. It’s also possible to do lighting from lower, more oblique angles, but it is harder to pull off well, and is better done with more than one lamp (on each side to fill the shadows they create). Sorry for these long comments…the best thing to do really is to create a little setup that helps you control shadows first, and then reflections if you need to, and then experiment. Once you have those things under control, it’s mostly a matter of composition. Sometimes throwing too much into a photo is a bad thing, so don’t worry about adding a contrived environment to the pencil…keeping things pure and simple will help a lot. I’m in no position to give “advice” per se, except perhaps to mention a few of the things that have caused me headaches. I have a pretty lousy camera — it has only 5x optical zoom, so closeups are tough. And, as it’s been mentioned above, you have to keep as steady as possible. A small desk tripod is good, but I find when I’m moving around trying to find a good angle I just use my hands more often than not. Ultimately, I’m impatient when taking photos. For me, the best results always come from using daylight. Almost all of the pics on my blog that look half-decent were all done outside, out of direct sunlight, but outside nonetheless. Getting rid of the shadows is the biggest thing, while at the same time not having blown-out highlights reflecting from the ferrules and imprint. Robert sure sounds like he knows what he’s talking about—maybe he can walk you through things when you’re ready. A scanner is good for cataloging purposes, but that’s just about it in my opinion. Bob Truby’s site really is incredible. Heck, yours are some of the very best pencil shots around the blog circuit, Sean, whatever you’re taking them with. Seriously. Black pencils on a Moleskine notebook. There are a lot of online resources devoted to photographing fountain pens. A lot of that work is probably applicable to pencils. The best pencil photos I am aware of are at Lexikaliker. I second Stephen’s appraisal of Gunther’s site — it’s really remarkable. Though it should also be noted that Stephen’s photos are among the best on the web…. Pencils and Music had some great photos that seemed to nicely capture pencils in use – GvFC perfect pencils on musical scores, for example! 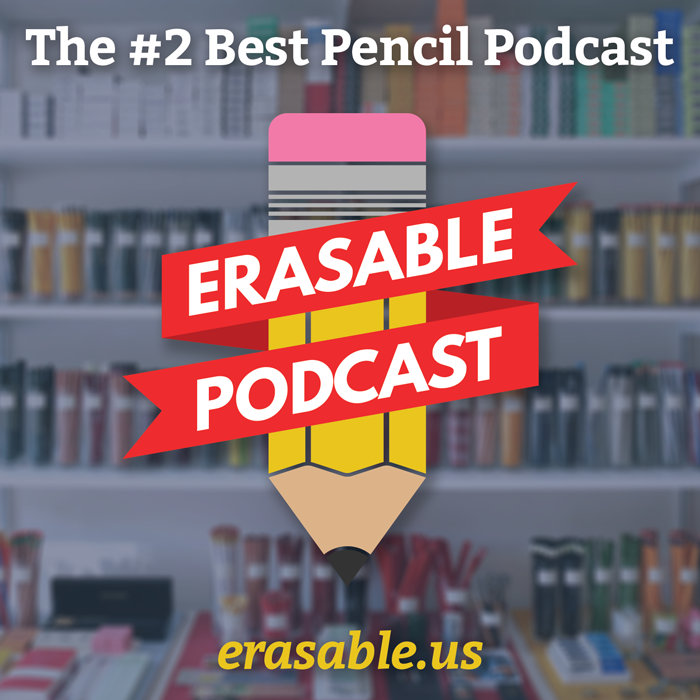 I can say without reservation that PencilTalk was not only my chief inspiration for considering my own pencil-related blog, but was also the place I learned just about everything I’ve come to know about pencils—brands, types, value, where to buy them, etc. 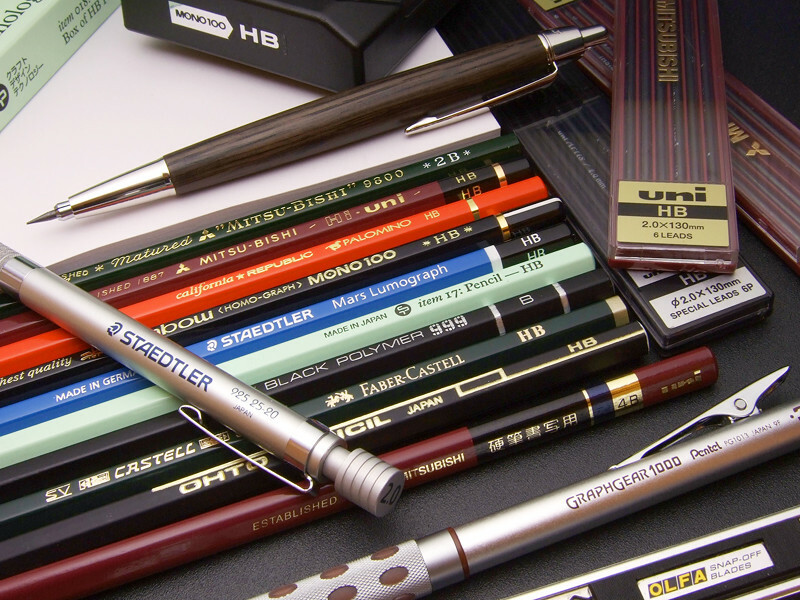 Without PencilTalk, it is very likely that I would have missed out on some of the things I’ve now come to cherish, and would not have gotten to know all you fine folks in the pencil community. I suspect it’s much the same for a great number of people. Ah hah! You are all in cahoots!